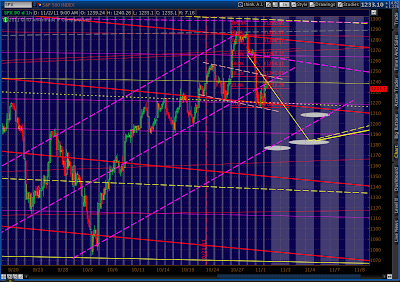 A close up of the channel, showing a likely reversal a the midline — which is also the .382 as mentioned below. 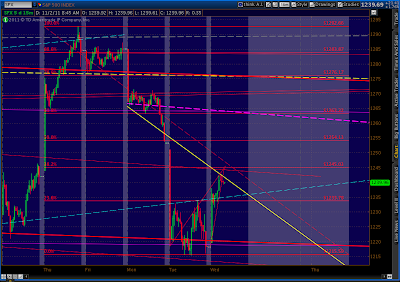 Note the possible setup for a H&S; pattern (pink dashed neckline @ 1213) with potential to 1140. 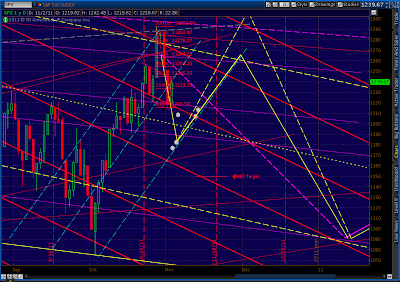 The dollar, solidly back in its channel, appears to be backtesting. 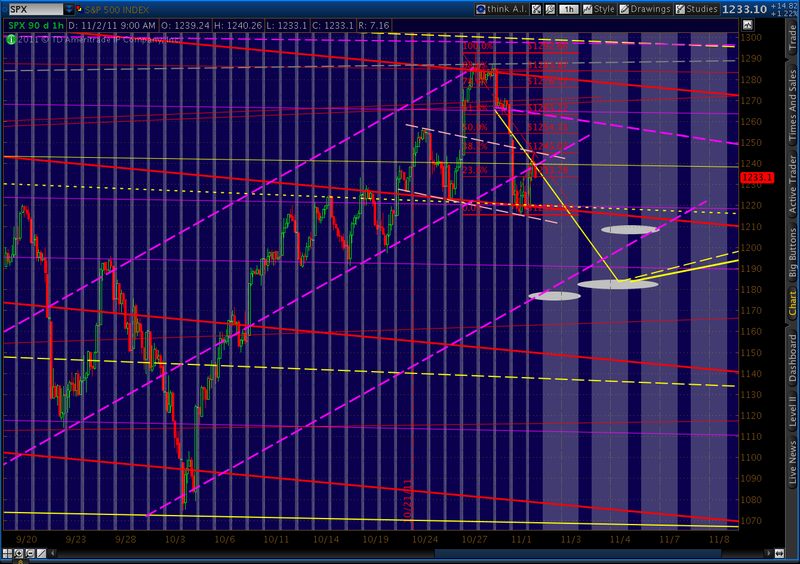 Watching to see if the channel midline holds on what is likely a corrective wave from Monday and Tuesday’s dip. 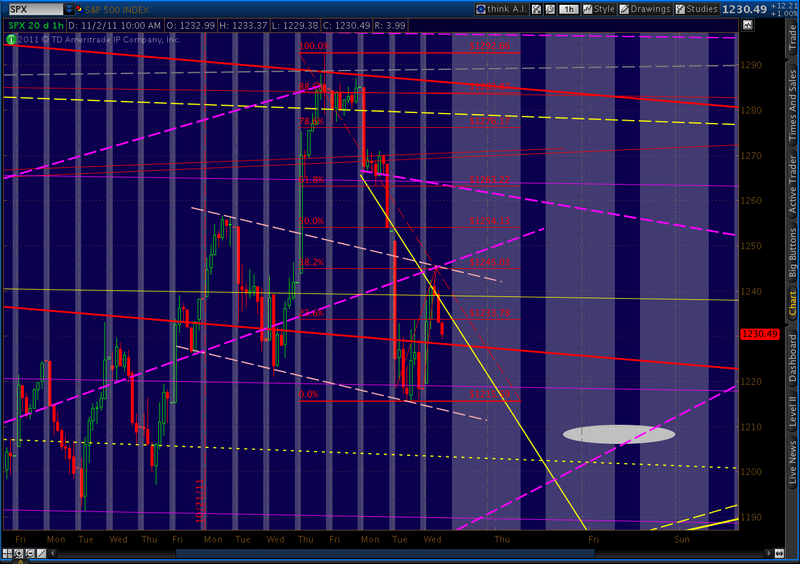 Also, note we broke through the SMA 10 yesterday and today are engaged in a backtest. 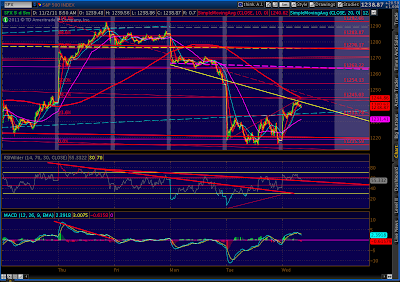 Last, there’s a little rising wedge on the 15-min that coincides with the .382 on the last move down. 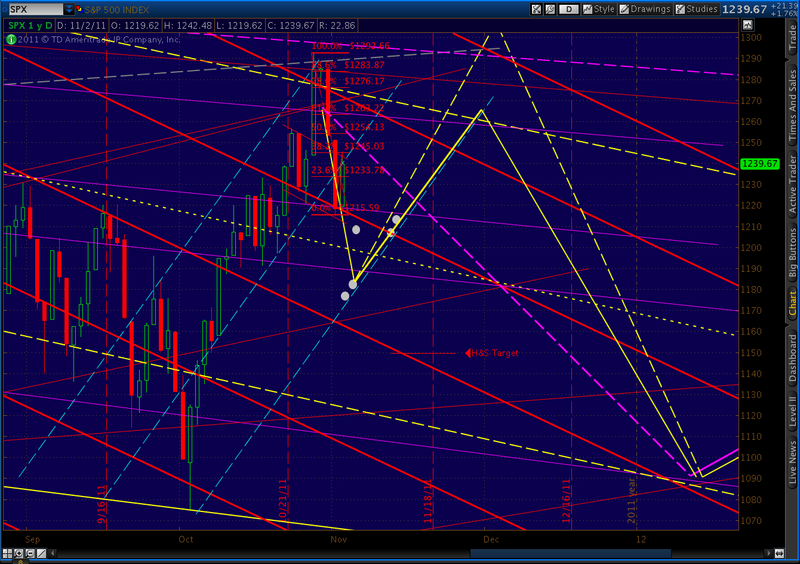 It’s a logical turning point, right about 1240. 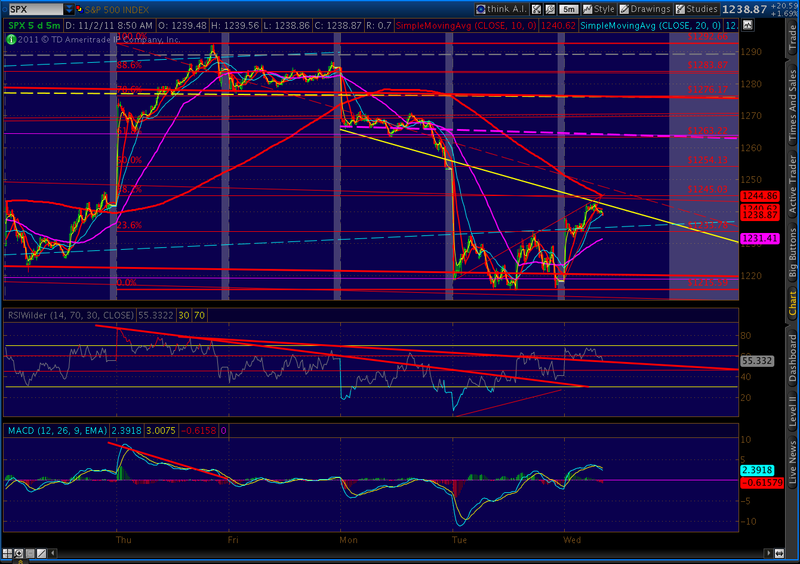 I’d prefer to see a little more divergence on the RSI first, but wouldn’t be surprised to see the rally fail here. 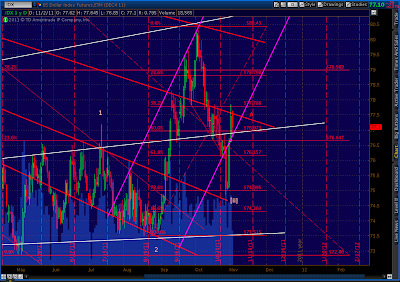 BTW, the solid yellow line is my forecast from last week. 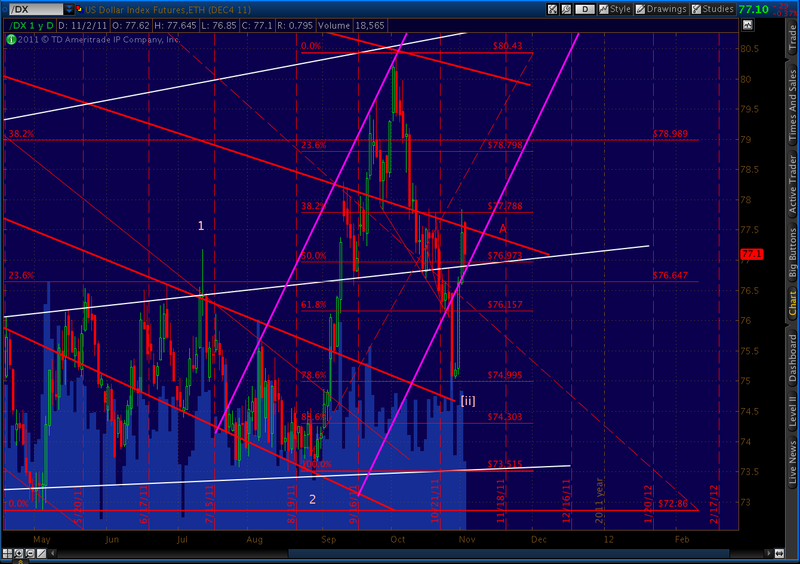 It has no value as a trend line or fan line, merely my best guess as to where the market was heading. Miss your post. 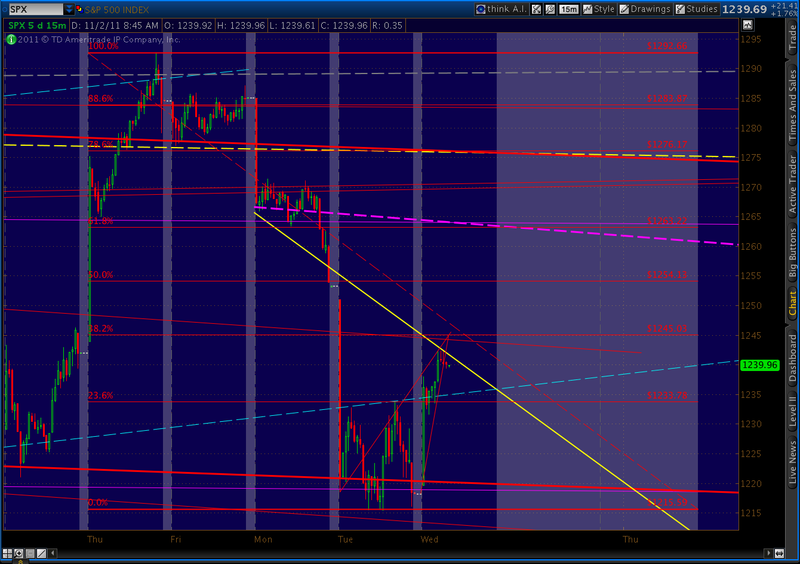 Today SPX tested the yellow solid line you drew. The market volatility is crazy, roller coaster, 2 days big down and 2 days big up. What will Friday be? Bull wins or bears wins? I am no expert to EW. But it's interesting that some is calling for lower low than 1075 while some are calling for over 1300. What gives? Or are they both correct depending on the timeframe they are talking about? Would love to hear your insight.